Hydrogen was probably "discovered" many times. Many early chemists reported finding a "flammable gas" in some of their experiments. In 1671, for example, English chemist Robert Boyle (1627-91) described experiments in which he added iron to hydrochloric acid (HCl) and sulfuric acid (H 2 SO 4 ). In both cases, a gas that burned easily with a pale blue flame was produced. Hydrogen occurs on the Earth primarily in the form of water. 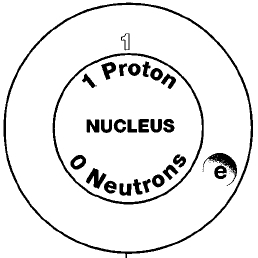 Every molecule of water (H 2 O) contains two hydrogen atoms and one oxygen atom. Hydrogen is also found in many rocks and minerals. Its abundance is estimated to be about 1,500 parts per million. That makes hydrogen the tenth most abundant element in the Earth's crust. 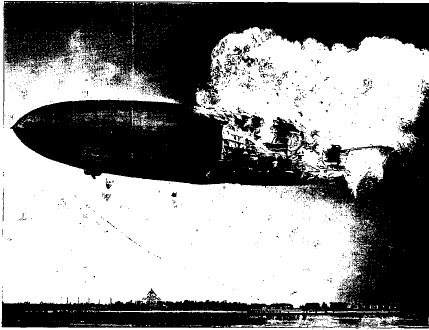 The dramatic explosion of the Hindenburg in 1937 occurred when hydrogen was ignited. substance. The reaction between carbon monoxide and hydrogen is an example of hydrogenation. Liquid oils are often hydrogenated. Hydrogenation changes the liquid oil to a solid fat. Most kitchens contain foods with hydrogenated or partially hydrogenated oils. Vegetable shortening, such as Crisco, is a good example. Hydrogenation makes it easier to pack and transport oils. 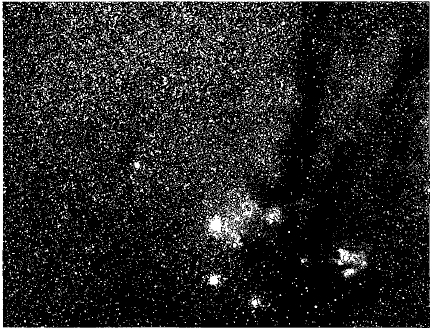 Millions of hydrogen compounds are known. One of the most important groups of hydrogen compounds is the acids. An acid is any compound that contains hydrogen as its positive part. Common acids include: hydrochloric acid (HCl), sulfuric acid (H 2 SO 4 ), nitric acid (HNO 3 ), acetic acid (HC 2 H 3 O 2 ), phosphoric acid (H 3 PO 4 ), and hydrofluoric acid (HF). Acids are present in thousands of natural substances and artificial products. The following list gives a few examples: vinegar, or acetic acid (HC 2 H 3 O 2 ); sour milk, or lactic acid (C 3 H 6 O 3 ); lemons and other citrus fruits, or citric acid (C 6 H 8 O 7 ); soda water, or carbonic acid (H 2 CO 3 ); battery acid, or sulfuric acid H 2 SO 4 ); and boric acid (H 3 BO 3 ). thank you! very very much for providing these information. I'm very grateful to you. it was very useful with the project i was using but you need to add more facts about how it obtained or isolated.